Google Today Introduced it's 3 Month's Music Subscription in just $1. unfortunately, it is available only in Selected Territories or Countries. but i have solution on it, whether you Resident of anywhere in the world? 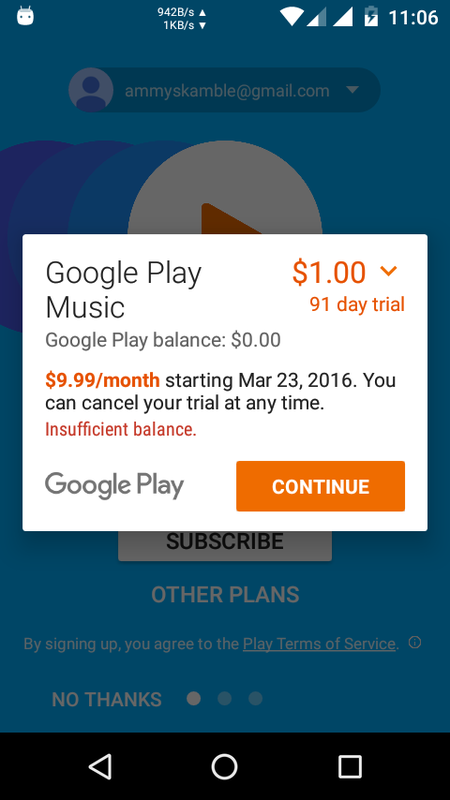 you can easily Subscribe and Enjoy the Google's 3 Month Music Subscription in Just $1. IF You want to Enjoy Google's Music Play for Three Months in Just $1 follow below Steps by step to Subscribe and Enjoying Unlimited Songs for 3 Month's. Remove & Reinstall Google Account from Mobile settings. Install any VPN Provider Application. After Installing Connect US VPN Service. Log In To Google Music Player with Connected US Server. Now You Can Enjoy Full of Google Music Play For 3 Month's in Just $1. Without any issue.